The Chevy Colorado is a mid-size truck that manages to offer outstanding performance, a smooth ride, and attractive technology features. 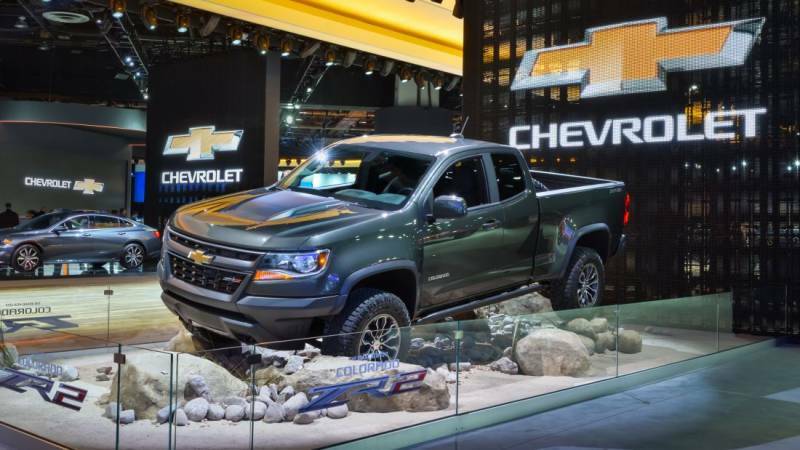 Although the Colorado isn’t quite as popular as the full-size Silverado, it delivers better fuel economy and is easier to maneuver in crowded parking lots. First introduced in 2004, the Colorado is now in its second generation. In 2015, Chevy released an all-new model that had revised exterior styling. Since then, the Colorado has changed little on the outside. The model’s only major change for 2017 is the introduction of a new and improved 3.6-liter V-6 engine, which is now paired with an eight-speed automatic transmission. Buyers appreciate the Colorado’s handling and less bulky feel. It also has a very affordable starting price. The MSRP for the base model is $20,995. The most expensive version has a starting price of $28,245. There are three body styles available: an extended cab with a long box, a crew cab with a short box, and a crew cab with a long box. In addition, buyers can choose between the base, WT, LT, and Z71 trim levels. The Colorado’s front end has an aggressively stylish chrome grille, and buyers can choose between a gold or black Chevy badge. The smaller box size is 61.2 inches. Opt for the longer box, and you’ll get 74.4 inches of space, which will be more functional if you need to haul a lot of equipment or camping gear. The Colorado has a wheelbase of 128.3 in. and a curb weight of 3985 lbs. Both rear-wheel-drive and four-wheel-drive systems are available. The 2017 model introduces a new selector knob that gives drivers more control over the drive options. The 2017 Colorado comes with three different engine options. 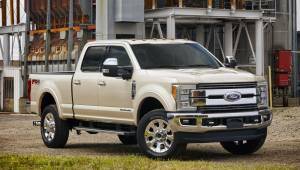 Truck enthusiasts will be exited to hear that this model now has a revamped 3.6-liter V-6, which has been redesigned to improve the direct-injection system. It delivers 308 horsepower and 275 lb-ft of torque. This is an increase of three horsepower and six lb-ft when compared to the preview 3.6-liter V6. It’s now paired with an eight-speed automatic transmission rather than a six-speed automatic. The base model comes with a 2.5-liter four-cylinder engine, which creates 200 horsepower and 191 lb-ft of torque. It’s paired with a six-speed manual transmission. The 2.8-liter Duramax turbo-diesel I-4 gets 181 horsepower and 369 lb-ft of torque. Drivers can expect to get up to 22 city/30 highway mpg with the diesel engine. The other two engines will have slightly lower averages. When properly equipped, the Colorado has a maximum towing capacity of 7,700 lbs. The least powerful engine, meanwhile, will tow around 3,500 lbs maximum. Technology features are high on every driver’s wishlist these days, whether they’re buying a sedan, SUV, or truck, and the Colorado boasts an impressive infotainment system. With Chevrolet MyLink, drivers can easily access navigation directions, text messages, and satellite radio. The Colorado also has smartphone integration with Apple CarPlay and Android Auto. Perhaps most impressive of all is the OnStar telematics system that delivers on-board 4G LTE WiFi, which allows up to seven devices to connect to it at once. The myChevrolet app allows you to start your engine or lock your doors while away from your truck. A host of safety features are available on the 2017 Colorado. These include a standard rear vision camera, frontal and side airbags, traction control, and daytime running lights. Forward collision alert and lane departure warning systems are optional, and upper trim levels come with OnStar emergency communications. New for the 2017 Colorado is Chevrolet’s Teen Driver mode. This allows parents to track how fast their teen is driving and sets certain limitations. You can also access a full report of their driving performance. The Chevy Colorado’s main competitors are the GMC Canyon, Toyota Tacoma, Nissan Frontier, and Honda Ridgeline. Like the Colorado, the Canyon is manufactured by General Motors, and the two are very similar under the hood. The Canyon has a distinct exterior appearance that some drivers surely prefer, and the interior has a markedly more luxurious feel. However, the Colorado, offers a better maximum towing capacity. Additionally, its base model has a lower starting price, which means the Colorado is a better value. In terms of the cab’s interior, the Colorado wins out against the Toyota Tacoma. It offers more headroom and more comfortable seats. When it comes to performance, however, the two models are about equal. The Tacoma’s 3.5-liter V-6 generates 278 horsepower and provides quick acceleration. The Nissan’s Frontier has the lowest starting price out of any of these models, with an MSRP of $18,390. However, the Frontier was last redesigned in 2005, and it’s styling feels outdated. The Colorado and others offer better tech features and more interior space. The Honda Ridgeline is the most expensive of these models, with a starting MSRP of $29,475. This price point means you get more expensive materials in the cab and a roomier, more comfortable back seat than you’ll find in the Colorado. However, the Colorado has more body options than the Ridgeline, and the tech features are about equal. Additionally, the Ridgeline only has a maximum towing capacity of 5,000 pounds. A fully upgraded Colorado will offer better performance in that area for a similar price. If you’re in the market for a mid-size truck, the 2017 Chevy Colorado really stands out from the crowd. 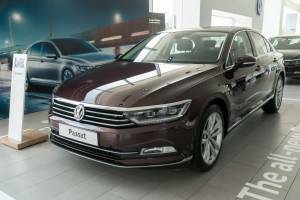 It has a number of body styles and engine configurations to choose from, so there’s something to fit into most budgets. For drivers concerned about fuel economy, the option of a diesel engine is especially appealing. There are a few drawbacks to buying a Colorado. For example, adding four-wheel drive is a pricey optional feature when it should really come standard on a truck of this size. Compared to the Canyon or Ridgeline, the seats aren’t as comfortable, and the materials in the cabin don’t have a high-end feeling. With those cons in mind, the Colorado still represents a very strong value, and drivers will get a lot of bang for their buck. Steve Lagreca / Shutterstock, Inc.